Let us know if you have any questions about the program. This program will help you change the lives of others. 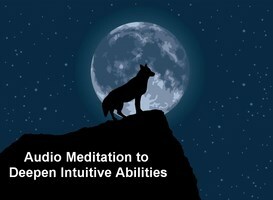 Sacred Animal Spirit Alchemy – Our new energy program brought to you by the animals! Bach Flower Essences – The power of the flowers and more. Aromatherapy – The sensational world of essential oils. Muscle Testing/Kinesiology – The key to knowing the right diet, products and healing methods. Dog Nutrition/Cat Nutrition/Horse Nutrition – The foundation to great health. Crystal Therapy – The incredible effects of crystals in all forms. Color Therapy – This simple method can have profound results. Emotional Freedom Technique/Tapping – Tap your way to success. 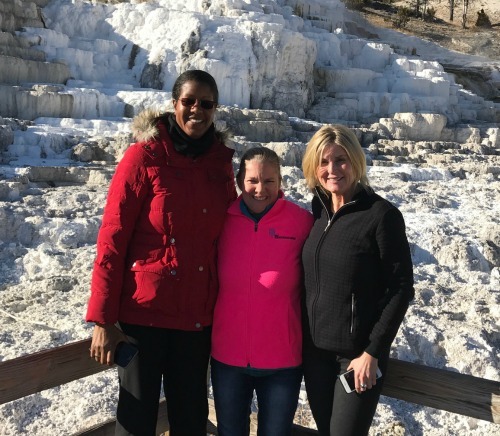 Learn surrounded by a 360° picturesque view of some of the most breathtaking mountains in the world – and near Yellowstone. Visit the Yellowstone river near Kim’s home. See amazing stars and the Milky Way galaxy from Kim’s home. 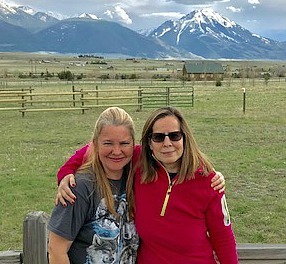 Complementary trip into Yellowstone to connect with wildlife and nature on a body, mind and spirit level. 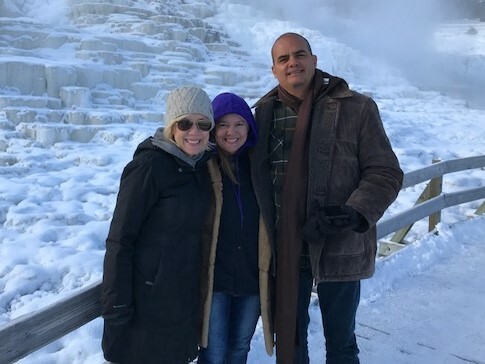 Yellowstone is a portal to higher awareness and one of the main reasons Kim moved here to this magical place. Go grocery shopping so you can purchase your own food. Join us for this exciting, life changing program! Holistic animal care is a growing field. More people are seeking natural wellness for the animals in their care. 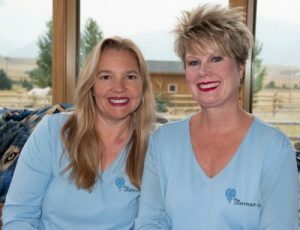 Kim and Allison have over 30 years combined holistic animal care experience. They have taught classes to hundreds of students from all over the world since 2007. IMPORTANT: Prerequisite for Program Enrollment: You must have taken the animal communication in person class or by distance teleclass (phone, web phone or Skype.) Next teleclass is March 10th. Click here to learn more and register. Next in person classes are March 17th in Livingston, MT and March 31st in Katy, TX . Click here to learn more and register. Why do we require animal communication as a pre-requisite? It is because animal communication means that you are connected with animals on both an intuitive and spiritual level. There is nothing like that experience. We want our coaches to have that sacred experience first so that they can connect with animals on the deepest heart and soul level possible. 2020 Dates TBD Group Tuition in TX: $797 early registration ($997 regular registration) ($400 non-refundable & non-transferable deposit required) An installment plan for the whole program is available. Space available. Contact us for details. July 23-27 (Tues.-Sat.) Semi-Private Tuition in Livingston, MT: $1197 early registration ($1397 regular registration) This is full. If interested in other dates, email Kim at thelightfootway@yahoo.com. 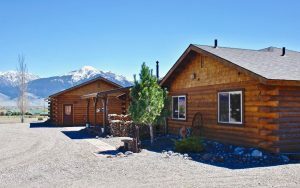 ($600 non-refundable & non-transferable deposit required) for the semi-private instruction of just 2 students at Kim’s log cabin. The tuition does not change if you lodge somewhere else as lodging is complementary and the fee is for the semi-private personalized instruction. An installment plan for the whole program is available. Contact Kim for details. Courses 2-5 : Tuition for each course is paid as you go through the program. This way you can take the time to discover and focus on which healing modalities you truly wish to pursue while building your skills and confidence on a professional level. Course 1 Cancellation Policy: The deposit is non-refundable and non-transferable upon registration. Should you cancel prior to 2 weeks from the start date, the remainder you paid after the deposit will be refunded. Should you cancel after 2 weeks from the start date, you may transfer the balance to a future animal wellness coach program. Questions: Check out the FAQ page that may answer your questions. Program Application: Please complete the program application before registering. Animal Wellness Coach program if you wish to attend at another time..